If you are shopping for a long-range hunting scope or want a performing scope for target shooting, Zeiss is a manufacturer you should consider. Let’s take a closer look at the Zeiss Conquest HD5 scope to help you determine if this could be the rifle scope you have been looking for. What Is The Zeiss Conquest HD5? Zeiss is a well-known optics manufacturer located in Germany. The company is also known for making medical and industrial measurement devices. The Conquest scopes have been developed with hunting in mind. You will find two variants with different magnification options. We looked at both variants to help you determine which version of the Conquest HD5 is suited to your needs and preferences. 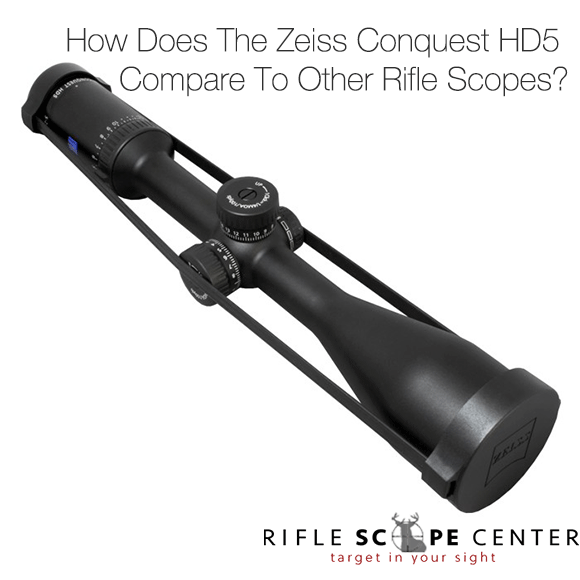 The Zeiss Conquest HD5 scopes have a compact and lightweight design, which is perfect for hunting and sports shooting. We like the black matte finish and think this is a high-quality product. 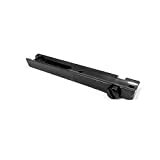 You will notice that the parts move very smoothly as you adjust the optics of the scope. The magnifying ring is worth mentioning because it rotates very smoothly and allows you to easily adjust the magnification of the scope without moving around and losing your target. This is a durable rifle scope that will last for years. It is designed to withstand extreme weather conditions as well as humidity. Both variants of the scope have a tube with a diameter of one inch. You will need a standard one-inch ring to mount it on your rifle. You should know that both variants of the scope are second focal plane scopes. This means the size of the reticle will remain the same as you adjust the magnification of the scope. The second focal plane design allows for more precision when you use high magnification power. The reticle can be thinner, which gives you better visibility even with a long range. The downside of the second focal plane design is that using a Minute of Angle or milliradian scale is going to be more difficult. 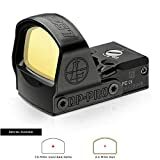 You will also have to do a little bit of math to figure out what the yardage lines on the reticle correspond to as you adjust the magnification of the scope. If you rely on yardage lines a lot or want to use a scale, you might want to opt for a first focal plane scope instead of the Conquest HD5. However, the increased precision and visibility at long range make the Conquest HD5 an excellent choice. If you are new to using rifle scopes, head to a local range and try both types of scopes. You need to see for yourself how a first focal plane and second focal plane scopes are going to impact your experience with a rifle. You can then decide which design is best for you. What Makes The Zeiss Conquest HD5 Unique? Being able to choose from two variants is interesting. We also think the Conquest HD5 stands out because of the high-quality design and precise optics. 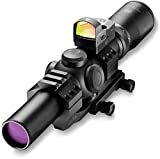 You will have a hard time finding better quality optics and glass in this price range. The first variant of the HD5 is a 3-15×42 model with a RapidZ-800 reticle. The second variant is a 5-25×50 model with a RapidZ-Varmint reticle. The locking turrets are easy to use and convenient for long-range shooting. The scope is easy to mount and adjust. The manual is very comprehensive and will help you get started if you are new to using a scope. The quality of the optics stands out. You will have a hard time finding the same magnification power as the 5-25×50 model in the same price range. The lens is coated to improve light transmission, which is perfect for low-light settings. Zeiss offers a comprehensive five-year warranty on its products. The RapidZ-800 and RapidZ-Varmint reticles are also worth mentioning. These reticles are perfect for long-range shooting. Placing the reticles in the second focal plane means you won’t have to worry about them hiding the target. You will get very precise results with these scopes. Getting used to figuring out what each yardage line corresponds to might take some time, but these rifle scopes will improve your hunting and target shooting experience once you become familiar with the yardage lines. This is the more powerful variant of the Conquest HD5. 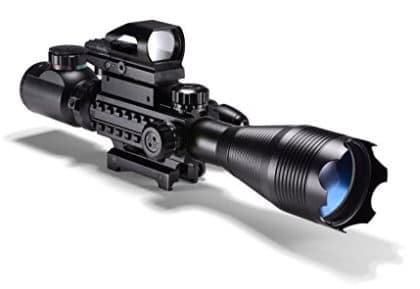 This scope has a magnification range of 5 to 25x. The scope objective diameter measures 50mm, and the length is 14.17.” The field of view is somewhere between 14.6’ and 35.4’ at 100 yards. This variant has a lower magnification power. It ranges from 3 to 15x. The scope objective diameter is the same, but the length is 13.78.” The field of view is 34.1’ to 6.8’ at a 100 yards. Which Variant Is Right For Me? 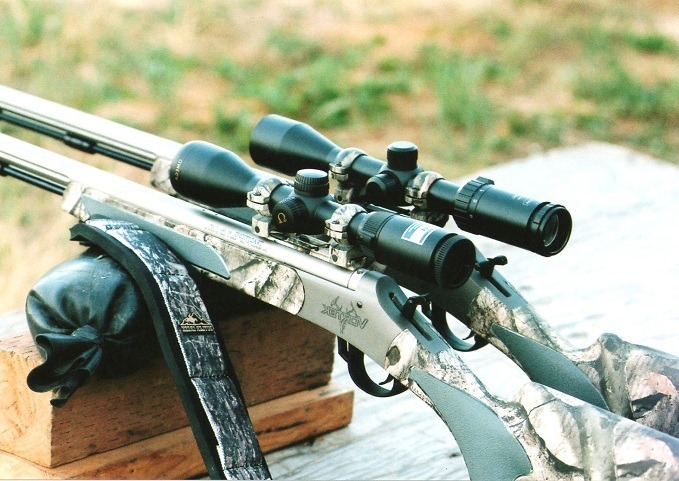 The 3-15×50 model would be best for short or mid-range shooting. The 5-25×50 model is your best option if you want a performing scope for long-range shooting. 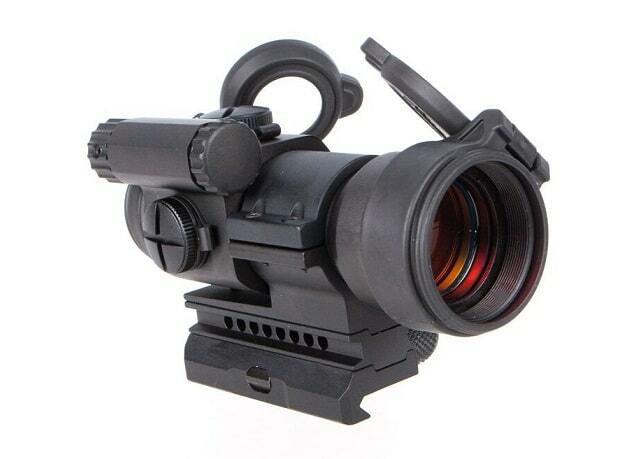 The features are very similar, and you will get the same quality optics with both variants. Both scopes are easy to install, and you will get the same quality experience with turrets and magnification ring. Even though the reticles used are different, they both meet high-quality standards. We were able to find the two Zeiss Conquest HD5 variants for $730. Most websites list these scopes with a price of $1,000 or more and mark it down in the $800 price range. You should be able to easily find sellers who offer these scopes for $700 to $800 now that Zeiss has released a new line of scopes. These scopes have received extremely positive reviews from shoppers. We looked at different individual reviews and shopping sites to determine what people think of these rifle scopes. The quality of the glass and optics is mentioned frequently in the reviews. People are impressed by the clarity, even when using high magnification. Some people say the Conquest HD5 scopes are ideal for hunting at dusk because of the glass clarity. A lot of reviews talk about how easy it is to install the scope and to get started with it. The scope works with a wide range of standard rings. No one ran into issues with mounting the scope. People generally love how the turrets and magnification ring feel. These parts move smoothly and indicate a high-quality product. Reviews also talk about getting precise and consistent results when using the HD5 scope. A hunter even said using the scope was somewhat boring because of how predictable the result is. This isn’t necessarily a bad thing if you are looking for long-range precision. 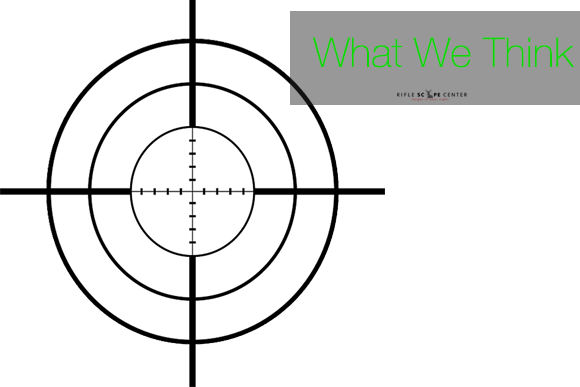 People are impressed with the reticle and how perfect the alignment is. They say the reticle helps them get on target fast and makes shooting easier for beginners. Everyone agrees that this is a great scope for hunting and target shooting. There are a few negative points mentioned in some reviews. The main drawback of the scope is the second focal plane design. Some people don’t like having to do a bit of math to figure out what yardage lines correspond to as they adjust the magnification of the scope. If this is something you want to avoid, a first focal plane scope would be a better option for you. Keep in mind that this is something you will probably get used to quickly. We didn’t find any other reviews mentioning negative points other than the second focal plane design. 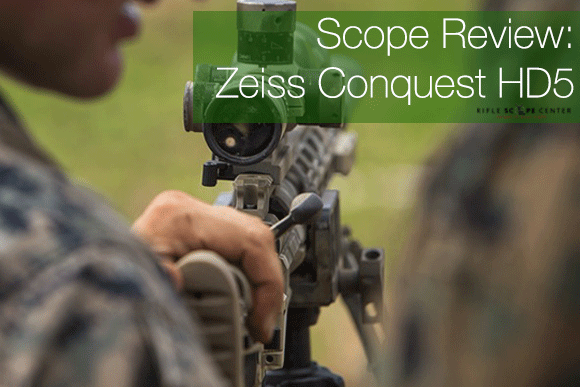 How Does The Zeiss Conquest HD5 Compare To Other Rifle Scopes? We compared the Zeiss Conquest HD5 to three other scopes from Zeiss and to a scope from Nikon in the same price range as the HD5. This is a more recent rifle scope from Zeiss. The tube is thinner with a diameter of 30mm, and the magnification range is somewhere between the two variants of the HD5. You can get the Zeiss Conquest V4 with different reticles. The reticles performance is similar to the ones used with the two variants of the HD5. The magnification ranges from 4 to 16x. The objective lens is 44mm wide, and the glass is what stands out about this rifle scope. There is a special coating that improves visibility in low-light settings. This is a second focal plane scope, and the price range is similar to the Conquest HD5. The Conquest V4 is a great option if you want a slimmer design or if you want a magnification range between the two variants of the HD5. This is a much more expensive rifle scope with a price tag of almost $2,000. The Zeiss Conquest V6 meets the high-quality standards the manufacturer is known for. The Conquest V6 is worth considering if you are looking for something more performing than the HD5 since this scope has a higher magnification range. The glass has also been improved. You will get a visibility rating of 92 percent in low-light settings, which is slightly higher than the HD5. The performance of the HD5 will be suitable for a wide range of scenarios, but the Conquest V6 is an interesting alternative if you want better visibility for long-range shooting. The Zeiss Victory HT is probably the most performing scope offered by Zeiss. 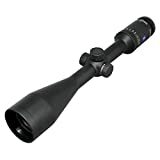 In fact, this is one of the best rifle scopes for low-light settings with its light transmission of 95 percent. This scope has a magnification of 4x, which is in-between the two variants of the HD5. It is interesting to note that you can adjust the objective diameter between 16.3 and 24mm. The Zeiss Victory HT is significantly more expensive than the Conquest HD5. However, this scope is a great investment if you want the best Zeiss has to offer for shooting in low-light settings. 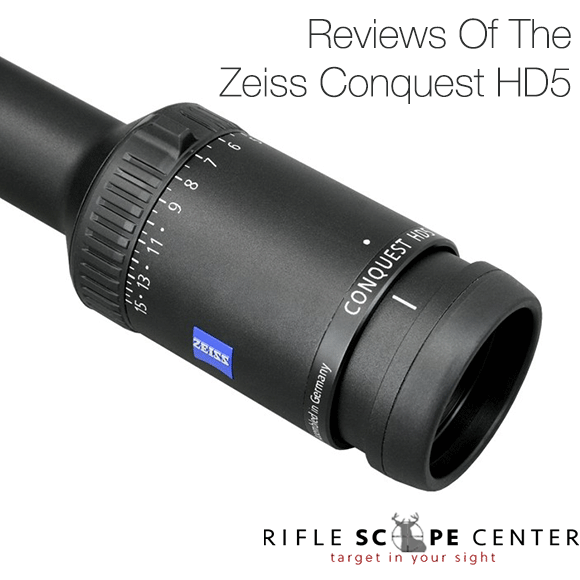 We think this rifle scope is a viable alternative to the Zeiss Conquest HD5 because of the similar price range. This is a first focal plane scope with specs that are somewhere between the two variants of the Conquest HD5. 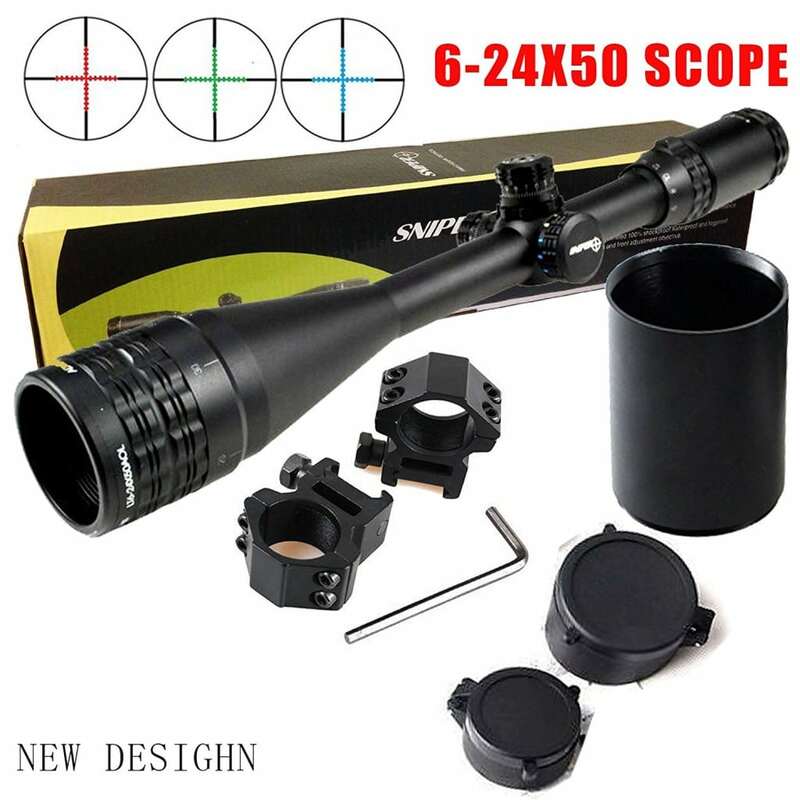 You will get high-quality optics with this scope. The 4x magnification is suitable for a wide range of scenarios, and the 30mm tube diameter makes this scope slimmer than the HD5. If you are hesitating about the Conquest HD5 because of the second focal plane design, the Nikon Black FX1000 is an excellent alternative. The Zeiss Conquest HD5 stands out because of the unmatched accuracy and quality of the optic glass. We also like the smooth turrets and magnifying ring. Being able to choose between two variants is ideal since you might need different specs depending on how you will use the rifle scope. The second focal plane design might be a drawback at first, but we think you will quickly get used to the yardage lines. You might already be familiar with using a second focal plane scope, in which case the Conquest HD5 would be perfect for you. The Zeiss Conquest HD5 features unmatched optics in this price range. 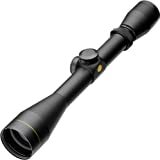 This is a great rifle scope for long-range hunting or target shooting. 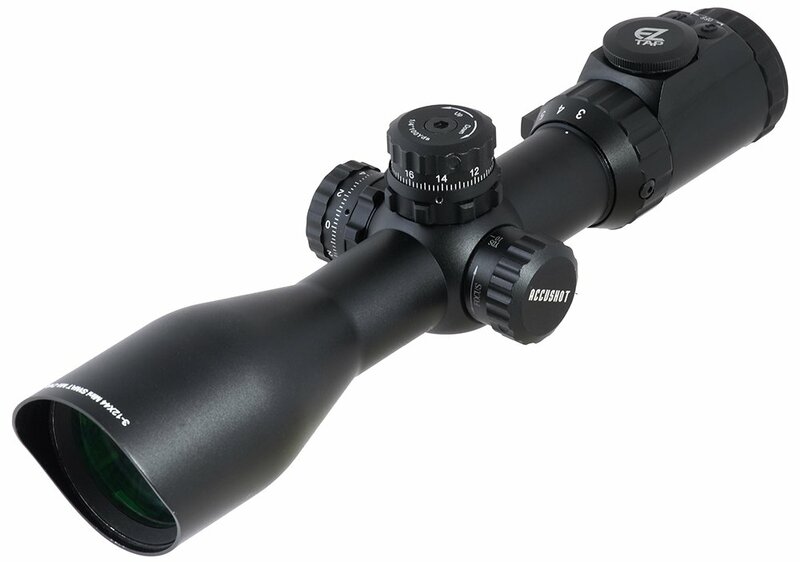 If you can find this scope in the $700 price range, don’t miss out on it! 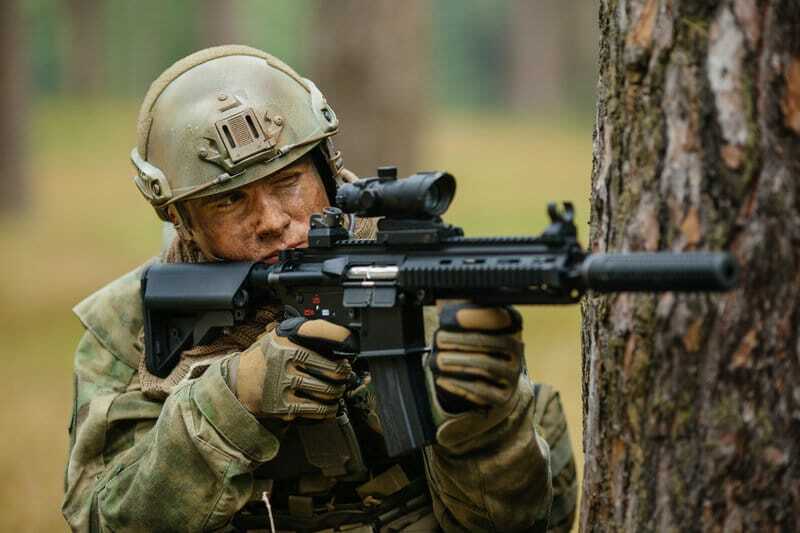 Burris Scopes may not be in the public eye as much as other firearms optics companies like Trijicon or Aimpoint, but it has a storied past and a good reputation for producing quality products. 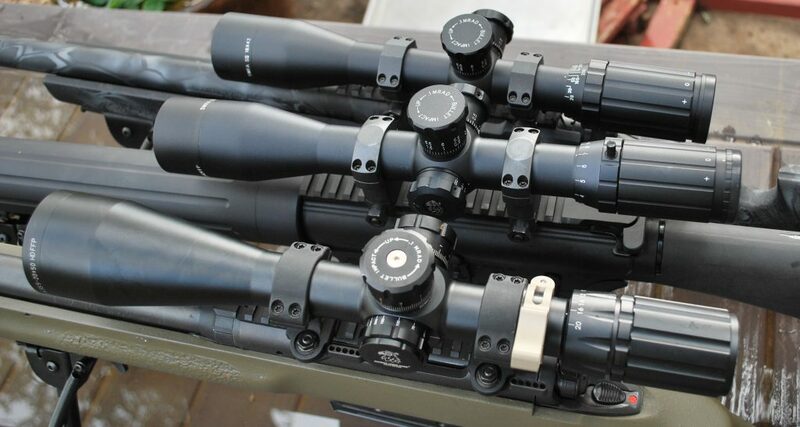 They manufacture rifle scopes, spotting scopes, sights (red dot style), mounts, accessories and more. Today, we will be taking a look at what put Burris on the map: It's mid-range to high-end scopes. We'll go over what makes the Burris company and their products unique, as well as exploring some of their most popular products. We'll see just how well Burris stacks up against the many players in the firearm optics market. What Makes Burris Scopes Unique? The Burris Company was founded in 1971 boy Don Burris, for which the company is named. Don Burris worked for 12 years at the Redfield hunting scope company. There, Burris designed and developed scopes that would set the standard for hunting scopes everywhere. Some of the ideas he pioneered include the first constantly centered, non-magnifying reticle in variable power scopes, the first 4-12x and 6-18x riflescopes and The Redfield Accu-Range trajectory compensating dual reticle scope. Burris decided to go into business for himself and make even better scopes and continued to innovate until his passing in 1987. His company innovated the first multi-coated lenses in hunting scopes (more on that technology later) and the industry's first variable power handgun scope. 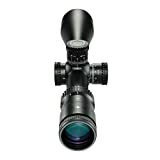 Today, Burris is part of the Beretta family of scopes. While it is owned by an Italian company, The Burris Company is still headquartered in Greely, Colorado. Recently, Burris has outsourced some of its manufacturing to the Philippines. With the changing economy, the cost of producing Burris scopes wen up, but prices did not. Customers were not willing to pay for “Made in America” anymore, and instead of sacrificing quality or volume, they opened up a second plant abroad. The headquarters, testing and packaging facilities still reside in Colorado. Additionally, some of the scopes in Burris's catalog are also still made there. Before anyone starts complaining about outsourcing, know that many big companies like Bushnell and Weaver produce their optics outside the U.S. as well. It's the world we live in. Burris is an old-style American manufacturing company. They may have been acquired by an Italian company and outsourced some labor to the Philippines, but they did so to maintain control and the level of quality that they believed was necessary. Instead of ratcheting up their prices or cutting back on features and quality, they bit the bullet and made some sacrifices.The result is a line of scopes and optics that are both quality and affordable. They may not be the flashiest or most "decked out" scopes around, but they also aren't the most expensive. Their products are fine mid-range to high-end products that have several features and standards that set them apart from their competitors. In the scope world, the quality of the glass is paramount. You have to see what you want to hit and if you can’t, then the scope isn’t doing its job. The better the glass and the better is treated with proprietary methods and chemicals, the more light can be let into the scope for a sharper, clearer and brighter image. A good scope lets in over 95% of light while a great scope lets in around 99%. It is generally accepted that efficiency cap for light transmission is 99.5% per lens element. How can a scope achieve this? By coating its lenses with chemicals that prevent reflection and other light scattering or absorbing phenomena. The most common substance for this coating is magnesium fluoride, but many companies have their own proprietary mix of chemicals that achieve a similar result. Lenses may be coated, or multi-coated, meaning they have more than one coating of treatment or multiple coatings of different treatments. Fully multi-coated means that every lens element is coated with multiple layers of chemical treatment to ensure maximum light transmission. Every single Burris scope is fully multi-coated. They do not manufacture scopes with lesser or ineffectual coatings to cut costs. They claim their "HiLume" fully multi-coated index matched system is second to none and offers high light transmission through their optics in all weather conditions. Burris employs a series of high-quality components to give their scopes the edge. It raises the price some, but they are banking on their customers preferring quality and security over saving a few bucks. These components are varied in their importance, but together they make a big difference. One-Piece Main Tubes: It should go without saying, but some cheap manufacturers do cut this corner, so it bears mentioning. Burris scope housings (the tubes) are made out of single pieces of metal as opposed to two smaller pieces fused together via welding. This fusing process makes manufacturing easier, but the point where the two pieces meet is a structural weakness. Quality Seals: Instead of using standard O-rings for their seals, Burris uses quad rings. These rubber seals are shaped so that there are multiple sealing surfaces instead of just one as in the old style O-ring. Steel on Steel Click Adjustments: The components used for adjusting the scope's alignment and elevation are all steel on steel. This system makes their adjustment more precise, as there is no wiggle room which could happen with softer materials. Adjusting to a previous setting will put you back where you were, with virtually no margin of error. Furthermore, audible clicks help you keep track of your adjustments. Dual Springs: Their adjustment springs are sturdy and robust dual springs instead of single springs. This little addition means that the springs keeping the scope aligned will stay put longer and not decay in strength over time. Superb optical glass is multi-coated for maximum low-light and anti-glare performance. It's fully compatible with existing night-vision technology. In modern scopes, the spaces between lenses are purged of atmospheric air and filled instead with an inert or otherwise non-reactive gas. This process ensures that no unwanted chemical reactions are taking place inside the scope like oxidation or condensation. High-end scopes use argon, a noble gas that won’t react with anything. Burris uses nitrogen which is not a noble gas and therefore technically reactive. However, the conditions required to get nitrogen to react inside a scope are virtually impossible to create unless you are trying hard to make it happen. Many gun owners and optics enthusiasts argue over the advantages of argon over nitrogen; some claim that argon is better due to its total inertness, and others claiming that nitrogen is functionally the same and that argon is an overpriced marketing tool. Burris has chosen to use nitrogen to keep costs down because they, and others, have not found compelling evidence that puts argon clearly ahead of nitrogen. Their purging and filling technique standards are set high. Each and every Burris scope comes with a lifetime warranty. If it fails or does not live up to its word due to manufacturing error or lack of quality, then the Burris Company will replace it. Also, the warranty covers any damage to the scope that hinders its performance even if it was accidental. The warranty does not, of course, cover deliberate or cosmetics damage nor does it cover loss or theft, but the warranty does transfer to any new owner of the scope. So, even if you buy a Burris secondhand, you can enjoy the perks of the warranty. If they can't fix it, they will replace it no questions asked. It doesn't matter how old it is or how it was damaged. This is one of the better warranties out there, and it really helps Burris stand out. Here are some of Burris's more popular products. They have many more in their substantial catalog but here is just a taste. The Fullfield II: The workhorse of the Burris family of scopes. This is their most affordable and best-selling scope. The quality you get for the price has made it a favorite for years. The Veracity: One of Burris's higher-end models, the Veracity competes well with other more expensive scopes, especially in low light. 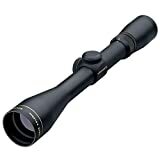 Scout: Their scout scopes are popular with customers due to their ease of use and stability. Scout scopes are unique in that they are mounted forward on the weapon as opposed to the rear where it can be closer to the eye. 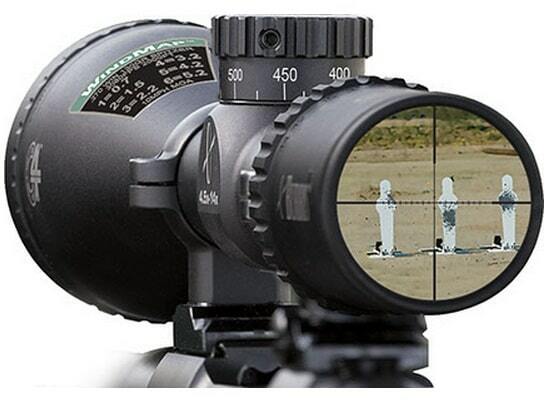 Despite this, Burris scout scopes give a wide and clear view and help acquire targets quickly. Handgun Scopes: As they have a storied history with handgun scopes, it is no surprise that Burris makes several great scopes. Their handgun scopes are rugged and powerful while still maintaining a manageable weight. Users of Burris scopes are a generally satisfied bunch. Consumer reviews and reports tell of excellent quality optics with clear picture and fast target acquisition. Burris products don’t do much else than what they are intended to do, but they do it well. Another of Burris's common compliments is how easy their scopes are to use. Not only do customers enjoy how easy it is to mount their scopes onto their firearms securely, but they also find that adjusting their scopes is a snap (pardon the pun). The scopes swiftly and reliably adjust for elevation and back with little error or excess work. Users also admit that most Burris scopes aren’t perfect. Some blurry images after prolong firing that eventually dies down, occasionally temperamental adjustment knobs and things like that. However, to get a scope that is even marginally better than a Burris, you would have to pay much more. Many users don’t see the point and believe they are getting the best bang for their buck. Burris stacks up well with many other manufacturers in the industry. They manage to beat out many brands on quality and performance while still maintaining affordable prices. 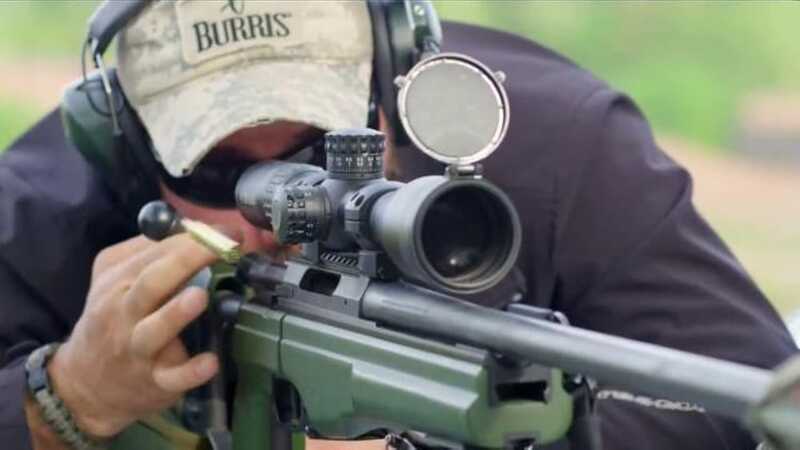 There are plenty of affordable brands out there, but not all of them can hang with Burris scopes in terms of functionality. One option for affordable riflescope brand is by Nikon. Alternatively, their higher end competition charges much more than them. However, these premium brands do outperform Burris scopes in some areas. Resolution and repetition resistance is better amongst other more expensive out there. Burris may not be the best of the best, but you'd be hard-pressed to get better for the price they are asking. Furthermore, the difference is not huge, but by and large Burris scopes tend to be more compact than their competitors. Not with every product of course but in general. 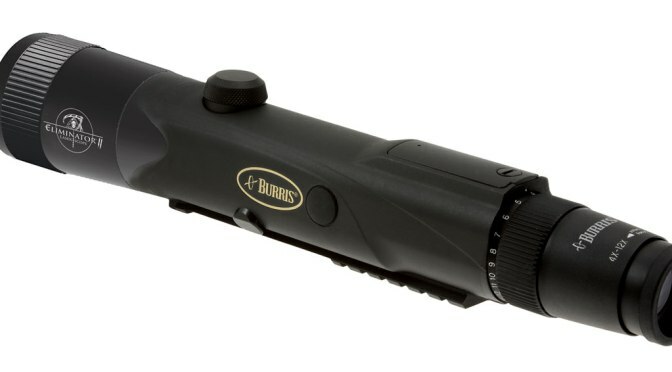 If you are looking for a scope that doesn’t weigh as much as others or has a smaller profile, Burris is worth a look. 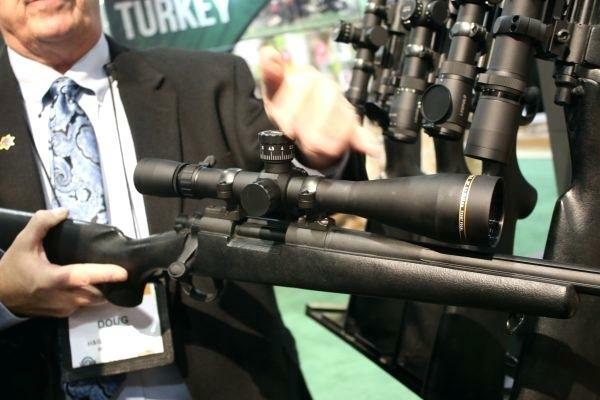 We were impressed with the performance of Burris scopes. The picture quality was good, and the reticles perform well, especially in low light. However, we do agree with many users in that it isn’t perfect. This isn’t to say that it’s bad, it just isn’t at the level of other higher end scopes. But, as previously mentioned, its price point isn’t as high either. We found good economy with Burris scopes. The scopes that we found to perform better often cost much more, twice as much in some cases! 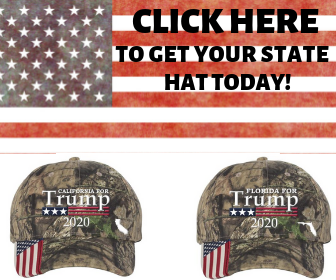 Throw in their no questions asked lifetime warranty and you have an all-around smart purchase. Its mid-range price and great performance mean that you could go both ways if they aren't for you. If you want cheaper, there are trusted brands at lower prices like Nikon and Bushnell, and even cheaper knock-offs that we can't really recommend. You could also go the other way and spring for the premium brands like Nightforce or Swarovski which will likely improve your experience but also weigh much heavier on your finances. As someone who uses a .308 for hunting, you’ve probably had a lot of success over the years and brought home some impressive trophies. While the .308 is known for its accuracy, you can improve your skills by having the best .308 scopes. Whether you’re looking for a scope for the first time or you’re on the hunt for an upgrade, your results might be a little overwhelming and make it difficult to decide. To help you get started and on the right path, we’ve done all the research and compiled a list of some of the best .308 scopes available on the market right now. With hundreds of rifle scopes available, you’re probably curious as to how we narrow down our choices and select our top five. We take our ratings seriously, and we strive to provide consumers with the most honest and accurate information available about the products that we research and review. You probably don’t have the opportunity, time, or money to test out every scope that’s suited for a .308. You would rather spend time using the scope out in the field or forest rather than spending countless hours researching the best scope to buy.We do all the work for you, so all you need to do is read this reliable, unbiased, and thorough review. The Internet reading reviews and testimonials from other people who have purchased or tested out the same scopes that we review and rate.While our list is full of the best .308 scopes available, we take the time to read reviews that give a less than five-star rating as it’s valuable information as we research and review. Many people ask us about our five-star rating system and how it works. When we give a product a five-star rating, it means that it exceeds our expectations and receives overwhelmingly positive feedback from other users and reviewers. Keep in mind that we do our own research and just because one consumer may give a scope five stars doesn’t mean that we do. Our primary goal with our rating system is to give you the confidence in selecting a scope that is the right fit for you and will get a lot of use for years to come. Features a quick autofocus eyepiece and is accurate at long-range from 200 to 800 yards. Made from aircraft-grade aluminum, it can withstand wear and tear and can handle the recoil of a .308. Now that we’ve explained our five-star rating system and how we decide which scopes are the best, it’s time to take a look at our top picks; our favorite pick is at the top of the list. Even if the scope you are interested in (on our list) is not at the top, it doesn’t mean it’s not an excellent choice. Remember, this is a list of the best scopes; you won’t find low-rated scopes in our review. Bushnell has over six decades of experience manufacturing and distributing high-performance sports optics. You are likely to have used a pair of Bushnell binoculars when walking around outdoors or at an indoor concert. The company strives to create products that can help enhance one’s experience in the Great Outdoors and at other events. The Bushnell scope is completely waterproof, fog proof, and shockproof. With a three-inch sunshade and a rainguard, the lens stays clearer and dry, which can help you stay focused on your target during inclement weather. This sturdy scope can handle the recoil of a .308 and has been tested with 10,000 rounds of 375 H&H Magnum. The mil-dot reticle helps to improve accuracy at vast distances, which makes this an excellent scope for anyone who is trying to strengthen their marksman skills. The clarity and ease of sighting make this a “must have” scope for all types of weather and low-light. At $700+ tag price, this Bushnell model is on the expensive side. You might want to look at Bushnell AR Optics Drop Zone-223 BDC Reticle if budget is a priority. Resolution drops a little bit as you move from the center to the edges, but not very severely. We all know Nikon for its long history as a high-quality camera manufacturer and their riflescope is created with the same care and quality that we would expect from a century-old company. Like the Bushnell scope, the Nikon is waterproof, fog proof, and shockproof. An ideal fit for a .308, the Nikon’s BDC 800 Reticle was designed for the trajectory of a .308. The scope has a quick autofocus eyepiece and is accurate at long-range from 200 to 800 yards. Another great option for hunters who are trying to hit their target from a long distance or in rainy or humid conditions. 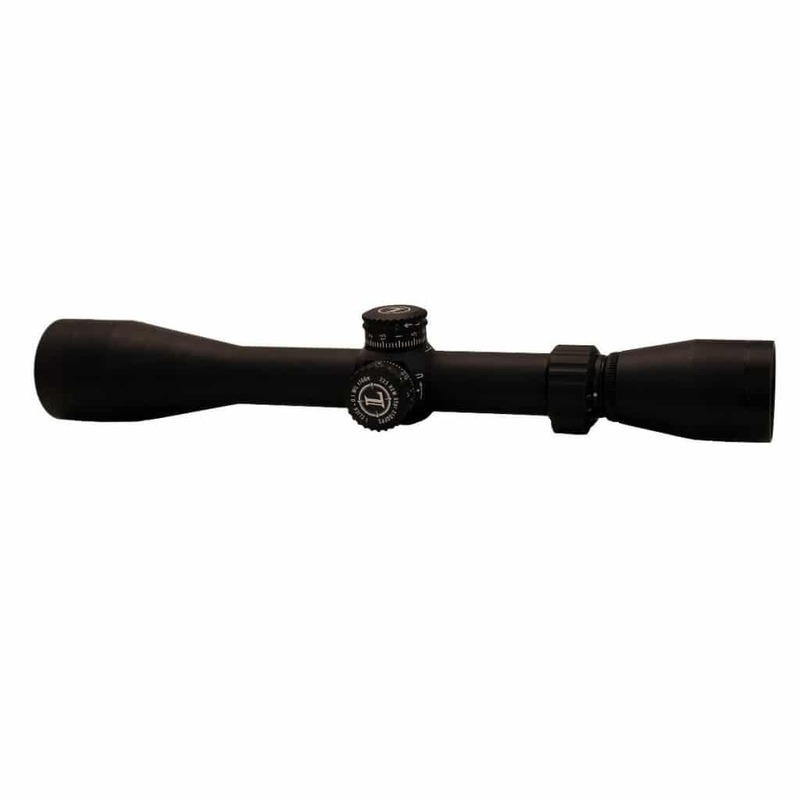 This scope is durable and is sure to withstand years of regular use while remaining accurate. Not the Nikon riflescope model you were looking for? You might want to check out our review of the Nikon Buckmaster 6 18×40, Nikon Buckmaster 4.5 14×40, and Nikon Buckmaster 4 12×50. 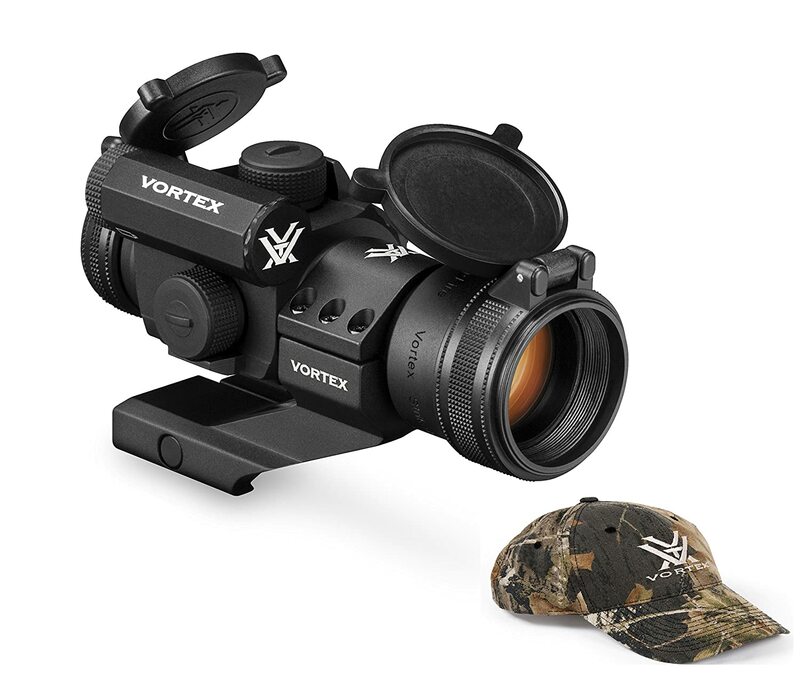 Vortex Optics is a Wisconsin-based company that specializes in optics for everything related to the Great Outdoors as well as for law enforcement. 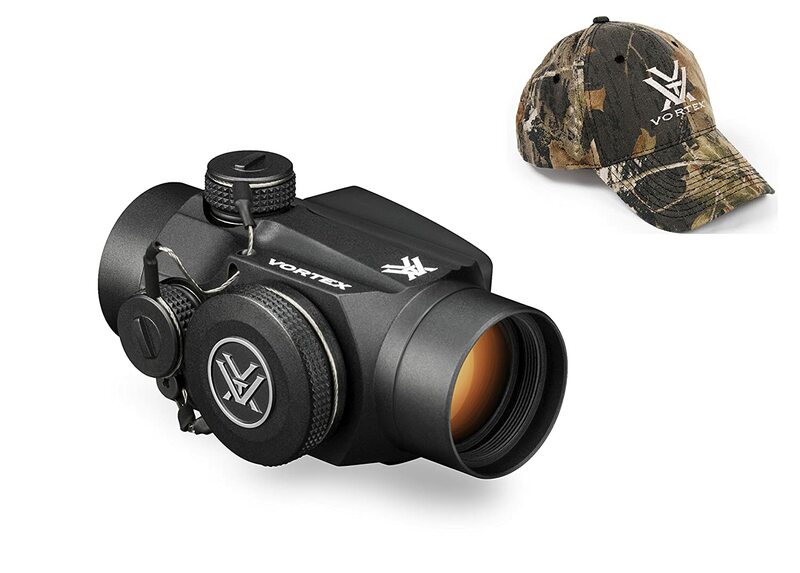 The Vortex Diamondback scope is waterproof, fog proof, shockproof, and has extra-low dispersion glass which helps to increase the resolution and give you sharp images. The multi-coated scope also keeps glare to a minimal; it also comes with a sunshade. Made from aircraft-grade aluminum, it can withstand wear and tear and can handle the recoil of a .308. While this scope is shorter than others that are similar, it has a long range of view and is fast focusing. 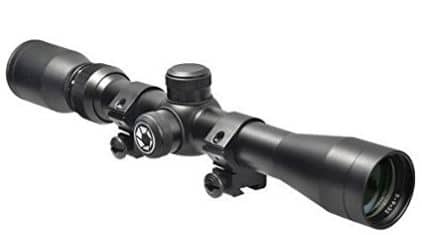 This scope may be an ideal choice for anyone who is looking for a shorter scope but with all the advantages of a more extended rifle scope. 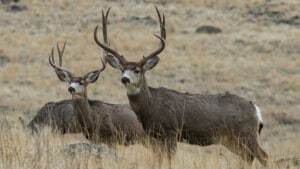 Hunting all year round? Then Vortex Diamondback 4 12×40 AO can be the right Vortex model for you. Finger adjustable capped reset turrets can be reset to zero after sighting in. The fast focus eyepiece allows for quick and easy reticle focusing. Leupold is an Oregon-based company with over 100 years of experience specializing in rifle and tactical scopes. Longtime customers come to expect high-quality and long-lasting products. 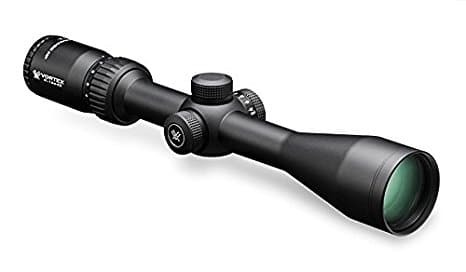 This Leupold scope is one of the best 308 scopes because the argon and krypton gas blend keep the scope water and fog proof, allowing for a crisp and clear sight regardless of the weather. Like similar scopes with a mil-dot reticle, .308 owners with the Leupold scope can make more accurate and fewer shots when hunting. Great for beginners but advanced enough for seasoned .308 users. The magnification may not be enough for some scope users. Great for beginners but advanced enough for seasoned .308 users. The magnification may not be enough for some scope users. 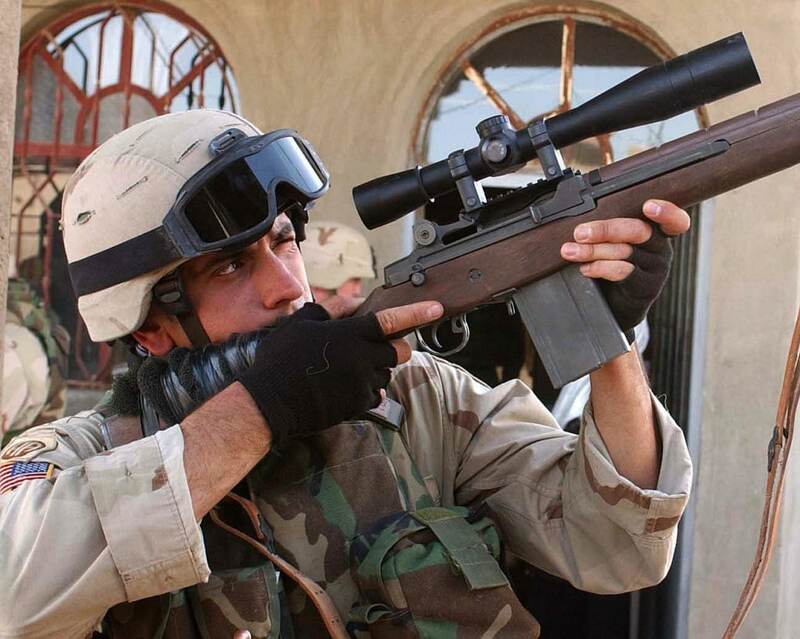 FSI is known for making affordable long-range scopes and this sniper scope, which is suitable for a .308, is an excellent example. 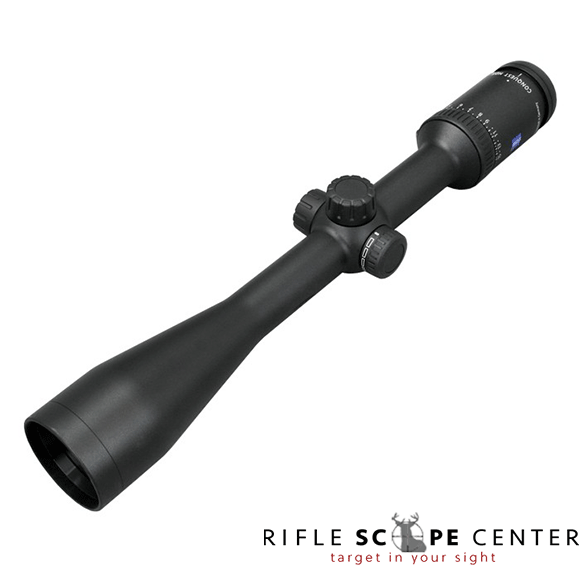 While this scope is larger than similar scopes, the aluminum construction keeps it lightweight and durable. Water, fog, and shock resistant, the FSI scope performs well under a variety of weather conditions; a sunshade is also available to help keep glare to a minimal. Like other scopes that have a mil-dot reticle, the sniper scope also has this feature but the multi-colored mil-dot reticle (red/blue/green), which may help the scope user with clarity and accuracy. 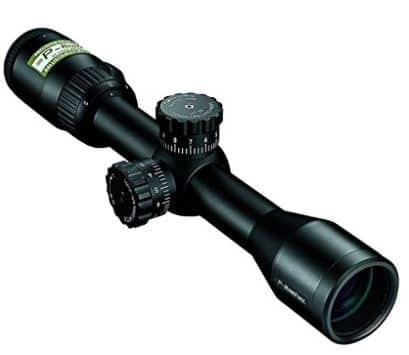 While this scope has many similar features to others that we have reviewed, it may be an ideal choice for someone looking for a larger scope and with a lower price tag. May have unusual directional markings on the turrets. Stock rings are not big enough to be used with most rifles. While we believe that we’ve provided you with some great choices and enough information to help you make a confident decision, it’s important to know what to look for when shopping for a scope. The more information you have, the more likely you are to make a sound decision and be happy with your purchase. Let’s take a look at some factors to consider before you buy one of the best .308 scopes. 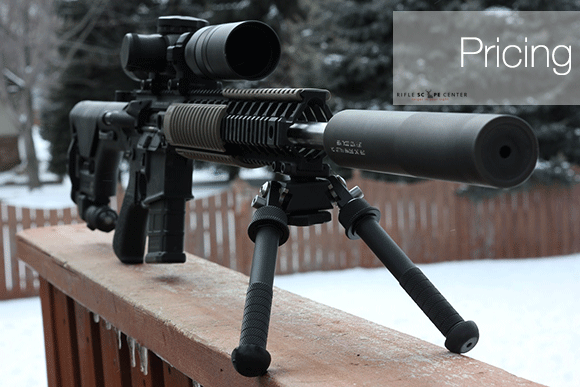 A .308 rifle has some “kick” that’s why we chose scopes that were tested to handle the recoil of the powerful rifle. Not only should a scope be able to handle the recoil of every shot you take but it should be constructed of a durable material, like steel or aluminum. While many hunters handle their .308s with care, a rifle and its scope need to be able to handle a little wear and tear and withstand the elements. A high-quality and durable scope should be able to stay in good condition for many years; storing in a case and keeping it clean (when not in use) can help extend the life of your scope. As you read through our reviews, you probably noticed that each scope had versatile magnification range (some more than others). If you’re going to invest in a high-quality scope for your .308, you want to be able to shoot from a long distance as that’s one of the advantages of owning a scope. If you like to do a lot of long-range shooting, consider a scope that magnifies more than 9 x. The magnification you choose all depends on how far you plan to hunt and the terrain (open field vs. forest). Anyone that has owned a poor-quality scope knows how bad they can get on rainy, humid, or sunny days. Not being able to see clearly out of a scope can be a waste of money, a waste of some potentially good shots, and even potentially dangerous. While many scopes are water, fog, and shockproof, make sure that one has all these features before buying. A removable sun or rain shade can be a nice addition to have on your scope as well. If you’re a novice shooter with your .308 or want to sharpen up your skills, a scope with mil-dot reticle can help you improve your accuracy. Keep in mind that the best way to get to know your new scope is to test it out and read the owner’s manual that comes with the scope. Even if you’ve been shooting your .308 for years, adding a new scope to your rifle can change everything about the way you shoot so be patient and take the time to enjoy learning how to use your new scope. Have you been shopping around for a new scope or are buying one for the first time? While all scopes are designed to help you see your target clearly, the price, quality, and design varies greatly. Let's start with the Leupold scopes. With so many scopes on the market, it can be challenging to decide which model and brand to choose. Ideally, a scope should last you decades, if not a lifetime. Also, it depends on how much money you spend it can be quite the investment. In our review, we will discuss the , the history of the company, and the Leupold scopes. With all this information, you should be able to determine whether or not the Leupold brand is the right choice. These days it can be hard to find a family-owned business that has been around for decades, let alone over a century. Leupold is a family-owned business and is based out of Beaverton, Oregon. In 1907, Fred Leupold Adam Volpel, friends and brothers-in-law, started a business of making surveying equipment by hand. In 1914, Leupold’s son, Marcus, joins the company. It was that same year that J.C. Stevens becomes a business partner and invents the first water level recorder. He then continued to invent and improve surveying equipment in 1938. The Telemark, a water level recorder using telephone signals to transmit information, is introduced by the growing company. The following year, Robert Stevens, J.C.’s son, joins the business. In 1942, after the passing of Volpel, the business name changed to Leupold & Stevens. Two years later, Fred Leupold passes away and his son, Norbert, joins the company. In 1947, Leupold & Stevens created and sold their first scope, The Plainsman. The scope was designed after Marcus Leupold supposedly missed a trophy buck due to a fogged-up scope. The company became incorporated two years later. They were well on their way to making and selling scopes when Jack Slack joined the company in 1953. Slack then married Marcus Leupold’s daughter, Georgia, a few years later. In 1962, Leupold introduced their classic and ever-popular Duplex reticle. With the technology in scopes, accuracy and clarity became even better in low-light conditions. Norbert took over the company in 1968 and that same year they moved to bigger headquarters. The first lightweight scope was created in 1974 and four years later, the first compact scope. 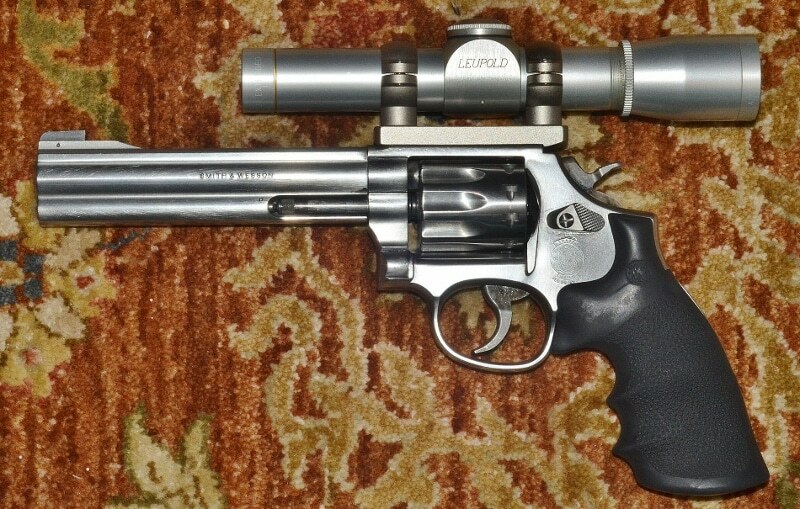 In the early 1980’s, Leupold began making smaller scopes for handguns. It was in 1983 when Werner Wildauer, became the president and chairman of the company. He has been serving the company for 25 years. 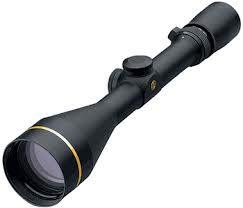 In the following years, Leupold scopes are used in military and remain a favorite in the field and forest. A long line of innovators and hunting experts created the brand. Many of the scopes sold today are new and improved versions of age-old designs. The quality and craftsmanship remain today, and the company still operates out of Oregon despite its popularity across the globe. Now that you know more about the family business that has grown into the successful company that it is today let’s take a closer look at the variety of Leupold scopes. As a brand review of Leupold scopes, we won’t discuss each scope but will take a look at the different types of scopes. The first Leupold scope was created after Marcus Leupold became frustrated with a fogged up scope. Determined to make a better scope, the Leupold scopes were born and have been fogproof ever since The Plainsman went on the market. 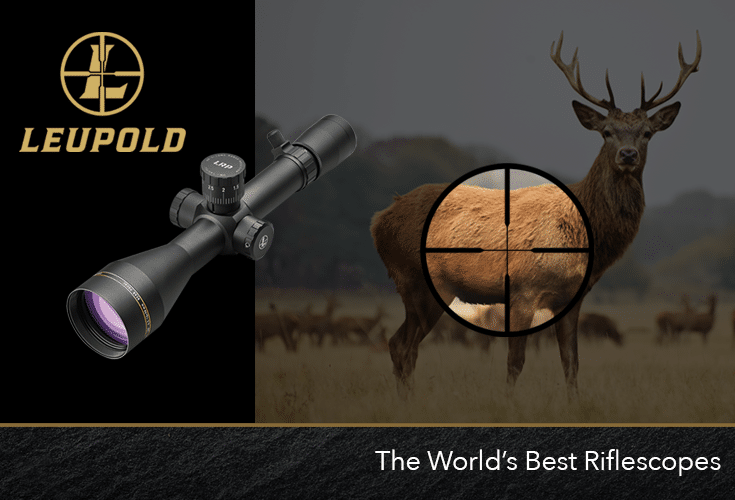 Leupold riflescopes are also waterproof, shockproof, and durable enough to handle the recoil of a rifle. The Multicoated 4 lens system for incredible brightness, clarity, and optimal contrast in all conditions. 1/4 MOA click wind age and elevation adjustments. A durable Leopold Scope Cover is included to protect your valuable FX-II Ultralight riflescope during transport or when not in use. The McInnis Group, Inc. offers authentic Leupold brand items with the full warranty. Leupold handgun scopes may be considerably smaller than some of the other scopes, but they are designed to be just as accurate and durable as other Leupold scopes. In our brand review of Leupold scopes, you will notice that many of the scopes are more substantial and a little heavier. The Ultralight scopes weigh about a quarter less than other full-size scopes but have all the same characteristics that Leupold fans love. Why buy a compact or lightweight scope? It’s the ideal option if you want to keep your firearm light. The 30mm maintube offers incredible strength and allows for the greater range of windage and elevation adjustment. Note: Many of the Tactical and Long Range Scopes also fit into the categories we listed above. Click on the category to see the Leupold scope options. 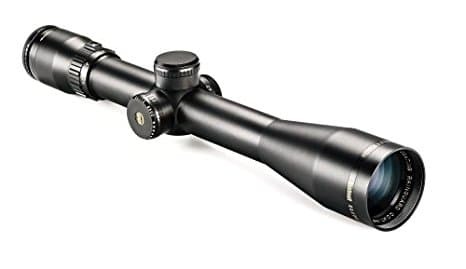 What Makes Leupold Scopes Unique? Now that you’ve seen all the Leupold scopes that are available it’s safe to say that the company is versatile, which is a prominent characteristic that stems back to the company’s early years. While many companies specialize in scopes, few offer dozens of options and versatility. Not only is Leupold unique for its diversity and versatility but each scope, regardless of its size, is built to last, and is designed to help marksmen improve their accuracy and see a target more clearly. 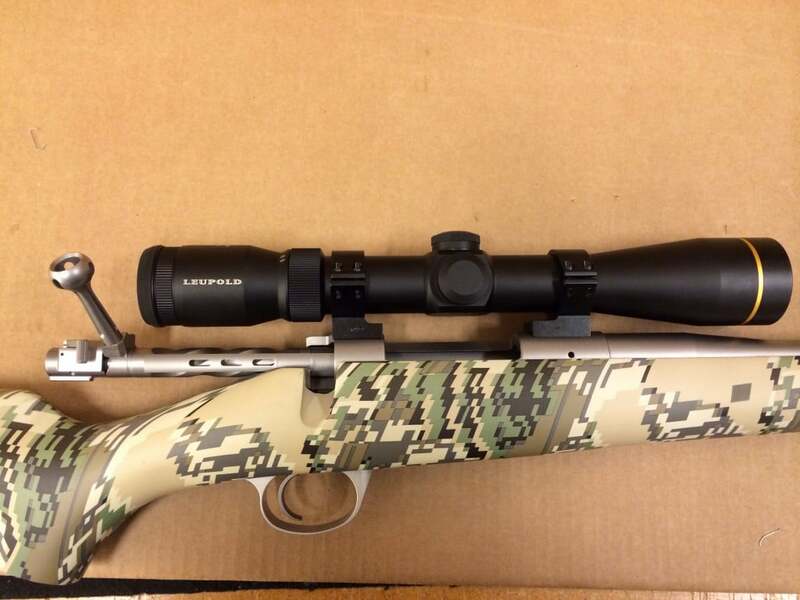 The cost of a Leupold scope varies depending on the type of scope you purchase. While the VX-Freedom riflescope costs around $260, a Mark 5 HD riflescope costs about $2,600. If you’ve never purchased a scope before, you may be hesitant to buy a scope with a high price tag. Keep in mind that these scopes are built to last and Leupold backs up their scopes with a lifetime warranty. 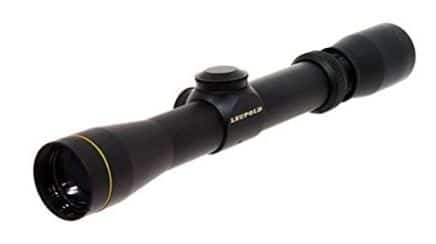 Leupold will repair or replace any of its riflescopes, spotting scopes, or binoculars if it doesn’t work as guaranteed. There’s no need to provide proof of ownership or have a warranty card. There’s no expiration date on the warranty, and you don’t even need to be the original owner of the scope; as long as it says Leupold, that’s all they need. Scopes that are modified, damaged, or misused may be ineligible for a replacement. For more detailed information on the warranty or to register a scope, visit the Leupold website. While the Leupold company has a long history of making high-quality products, we were curious if the quality of the products still holds up today and what other scope owners had to say about the Leupold brand. As we browsed online reviews, testimonials, and product comments, the company had overwhelmingly positive feedback, and many product ratings were at least four out of five stars. Many users remark on the durability and the craftsmanship of the variety of scopes. They don’t feel like they need to worry about damaging their scope while they’re hiking around the woods or working on target practice. 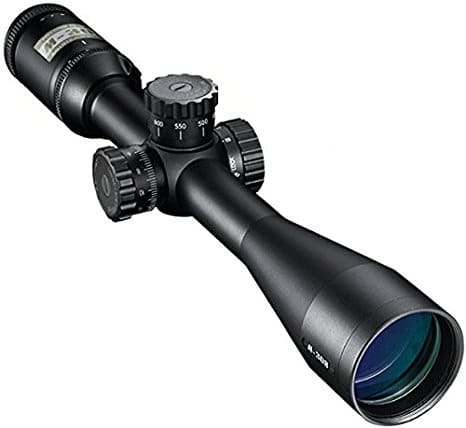 Other users praise the high-quality glass and the scope’s water and fog proof features. The quality of the glass and the clarity that remains despite the rain, sun, fog, or clouds, is one of the top-selling features of Leupold scopes. Some reviewers are lifelong users of the Leupold brand and remain happy with each scope they purchase. They believe that the newer scopes hold up to the same quality of scopes that are decades old. The majority of users, whether they bought a riflescope or a handgun scope, appreciated the ease of use and how well it performed each time they used the scope. Many say that they have become better marksmen and enjoy using their firearms much more now that they have a high-quality scope. While some users had issues with the warranty and a few thought the price of their scope was too high, a majority of users think that the price of their Leupold scope is “well worth the money;” some even called it a bargain, given the quality of the scope. How Do Leupold Scopes Differ From Other Competitors? We’ve already highlighted what makes the Leupold brand unique, but those same features are what makes them stand out from the competition. While there are several high-quality, big name, and high-priced scope manufacturers, Leupold continues to succeed. While many people might see their dozens of scope options as something negative, many scope users like having magnification options as gun owners use scopes differently. Rarely are scopes universal and Leupold knows that each type of gun deserves a specific scope. Some people shy away from Leupold, based on the price alone. It’s important to remember that Leupold has a lifetime guarantee and other manufacturers that offer similar style scopes at a lower price don’t stand behind their products for a lifetime. As we mentioned earlier, each Leupold scope is durable and can withstand daily use and withstand all kinds of environments; other scopes aren’t always designed with that same durability or reliability. While it would take a long time to test out every scope that Leupold makes personally, we are confident in saying that the Leupold brand makes high-quality, durable, and reliable scopes for all types of guns. A Leupold scope is ideal for a hunter or gun enthusiast who uses their firearm responsibly on a regular basis and cares more about the quality of the product than a cheap price tag. 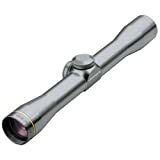 Leupold scopes are a good option for anyone who wants a scope that they can use confidently for decades. People who have never used a scope before may be hesitant to try out a Leupold scope, especially given the price, but it may enhance and improve their hunting experience so much that they choose to use a Leupold scope for life. If you’re unsure the Leupold brand is for you, ask your family and friends to see if they have a Leupold scope you could test out. While we’re confident that it will improve your shot and your overall experience, you might need to find out for yourself. The .22LR rifle offers you a precise short-range shot, but if you’re targeting something hundreds of feet away, you’ll need extra help from a scope. And you don’t need help from the crumby scope that came with your rifle. So what are the best 22 rifle scopes? Many of the scopes available today promise to fit your gun, but some of them are better suited to the .22LR than others. More importantly, the various specs are best suited for certain uses. The scope used for hunting a deer hundreds of yards away isn’t the one you’d use shooting a raccoon from the tree. There are some excellent scopes out there, so we’re reviewing our five favorite 22 rifle scopes. Each scope has something unique to offer a gun owner, whether it’s a warranty or field of vision. Ready to find your next scope? We’re committed to painting an honest and accurate picture of all the scopes we review. And the truth is, you can’t get that from the specs alone. You can compare magnification to lens diameter all day, but you’ll never know anything important about the product until you’ve looked through the lens yourself. Because of our commitment to providing the best reviews we possibly can, we use a complex rating system that accounts for many aspects of the product. We start by looking at manufacturer descriptions. It’s plain to see distinct differences between products based on those descriptions alone. We look at specs and individual technologies to distinguish the difference between products. But the real question isn’t what magnification range the product offers – we want to know if it does what it says on the tin. That’s why we combine a review of the specs with customer reviews and testimonials – people who’ve used the scope on the ground. We gather reviews and look for common strands to work out what really works and what simply doesn’t. Armed with all this information, we give the product a rating out of five stars. Because our process is clear, you can trust that the only products that receive a five-star rating are those truly deserving of one. magnification spectrum is broader than other products – 2x to 7x for added options and accuracy. The point of adding a scope is to improve your field of vision beyond what your eyes are capable of: the optical system is thus key. We like the Leupold scope’s Quantum Optical Systems, which is capable of producing an image that is both sharp and vivid regardless of the visibility conditions on the ground. The Quantum Optical System is aided by the Index Matched Lens System and the application of Multicoat 4, which minimizes reflections to make the most of out your lighting and provide better images. Additionally, the scope is both water and fog-proof (100%), and it offers a 3:1 zoom ratio featuring a magnification spectrum of 2.40x and 6.70x. Overall, the scope offers a clear line of sight with added eye relief and minimal reflections. The objective lens is small, but it’s still one of the best scopes you can buy for the money. In our opinion, if you want perfection, you should choose a Leupold scope. If however you are willing to spend more, then you might want to check out our review of Leupold Mark 6 3 18x44mm. Barska offers what some consider a budget version of the 22-rifle scope, but what we believe is the value version. It’s one of the least expensive scopes out there that still provides excellent value for money. Why? Because it’s a great scope and a great price, but it also comes with a lifetime manufacturers’ warranty. 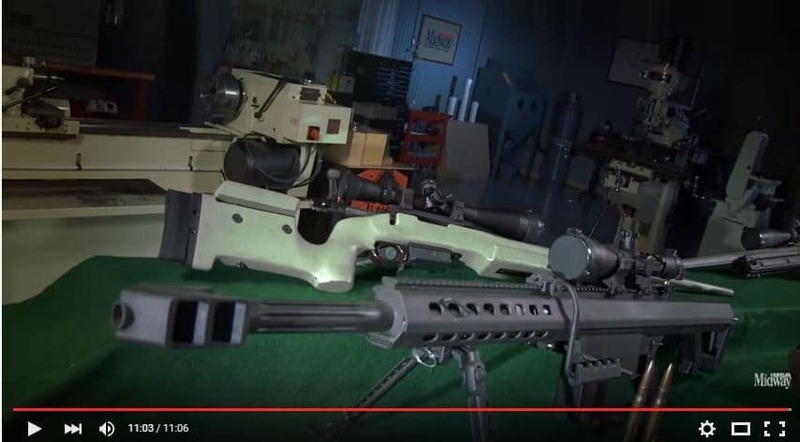 According to Barska, they designed the Plinker-22 precisely for .22 rifles and rimfires. It offers fully multi-coated optics for performance and clarity. You’ll find shots are easier at 50, 75, and 100 yards. Reviewers say the clarity remains good even when you turn the magnification up to 9, which is impressive for a budget scope. Like most scopes, it’s water- and fog-proof, but we like that it’s also shock-proof. Unlike other scopes, it’s suggested that you avoid using it on a nitro piston or springer because there’s too much kick and you’ll destroy your scope quickly. It works well with guns like the Marlin 60 rimfire rifle. it’s suggested that you avoid using it on a nitro piston or springer because there’s too much kick and you’ll destroy your scope quickly. 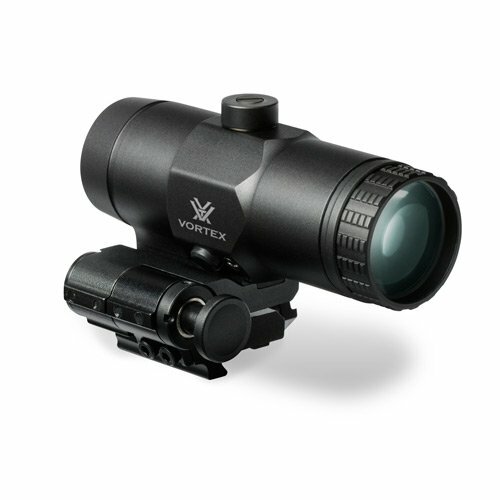 Vortex Optics’s Crossfire range is one of its most popular riflescopes. The Crossfire II model boasts a newly enhanced eyepiece for fast focus and multi-coated lenses in addition to MOA turrets that are not improved and resettable. While optical systems remain the most important feature on our list, durability sits in second place. There’s nothing worse than memorizing a scope like the back of your hand only to replace it sooner rather than later. Vortex Optics uses aircraft grade aluminum on all its scopes, so it can take a beating. The main feature distinguishing the Crossfire II from other scopes is the eye relief, which is slightly longer compared to other models. 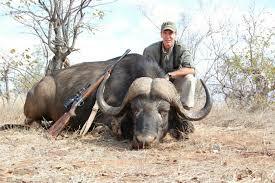 You’ll find that the feature aids you when you’re aiming upwards such as when you’re small game hunting. You’ll focus in faster even at a different elevation, which shaves off seconds between spotting and pulling the trigger. This however lacks a night vision feature. With this, you can read on our reviews of the the best night vision rifle scopes to find the right one for you. In addition if you wanted an upgraded version, then Vortex Crossfire II 6 18×44 can be a good choice for you. We wanted to make sure we included a tactical rifle scope for the AR-15, and the Aipa scope combo is one of the best deals we’ve been able to find. You’ll get optimal optical clarity with 4-12 magnification and a 50 mm diameter objective lens. More importantly, you’ll get 4 reticle patterns for use in all kinds of scenarios as well as a green laser and a reflex sight. All three pieces are easy to install on top of your AR 15. We like the scope because it remains strong and stable even after 50 rounds. Even with recoil, you’ll maintain a perfect zero for at least 100 rounds. Overall, it’s one of the best scopes out there, and despite its weight, it will improve your shot. Nikon’s P-RIMFIRE .22LR rifle scope offers shooters a 50 to 150 shooting range and adds accuracy to your distance. The scope employs a Fully Multicoated Optical System for creating a balance light transmission whether you’re shooting during the day, at night, or in the rain or fog. We like that the magnification spectrum on the Nikon scope is broader than other products – 2x to 7x for added options and accuracy. Features a positive click reticle adjustments to get you zeroed in quicker and maintain your setting—even with heavy recoil. Turret knobs are found to be slightly canted and make the underlying reference lines unusable. Are you new to guns or simply never thought you needed a scope before? A scope dramatically improves your accuracy by providing a clear, well-lit picture from hundreds of yards away. The right scope allows you to snag the biggest buck you’ve ever seen after hours of tracking it. 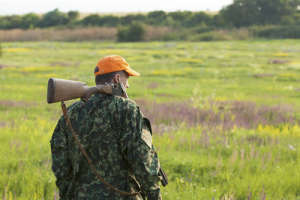 But it’s possible to buy the wrong scope, and while you may see the deer, an ill-suited scope could throw off your shot, ruining your chances. Every scope is accompanied by several numbers that represent its specs in a standardized format. Magnification represents how large an image becomes when you look at it through your scope. If the specs of the scope state 3-9x22mm, then you’ll be able to adjust the scope to see objects between three and nine times the size you’d see with the naked eye. The diameter of the objective lens, or the front lens, in millimeters. So, in a 3-9x22mm scope, the size of the lens is 22 millimeters. We’ll talk more about the objective lens later in the guide. Optical power, or magnification, is the key element in making a buying decision because it deliminates the scope’s usefulness for your purposes. A scope too weak for your needs is only slightly better than not using a scope at all. Generally speaking, scopes with a lower magnification (3, 4, 5, 6, etc. ), allows you to shoot faster and more intuitively and easier track targets. Higher numbers provide greater resolution and are ideal for hitting precise targets, but they’re difficult to use in an unsupported position because they’re both longer and heavier. Here’s a basic rule of thumb: if your target is less than 500 yards away, stick with a scope lower than 10x. If you’re using a rifle in a supported position (like behind sandbags), then you’ll be better equipped to take on a scope with a magnification of 10x and greater. The objective lens on a scope transmits the ambient light that brings an image into focus. Larger lenses, therefore, let in more light and bring in clearer brighter images. Often, you’ll find a larger objective lens with higher magnification ratings. Generally, larger lenses produce better images. However, there are caveats to this. A larger objective lens doesn’t necessarily improve image quality at all magnifications. For example, there’s little difference between a 40mm and 50 mm diameters in low magnification settings, but the difference in size becomes apparent above 12x magnification. Additionally, there are a few downsides in using larger objective lenses. Larger lenses require a higher mounting, which impacts your ability to shoot. In other words, a large scope may better allow you to see the target but could throw off your ability to pull off the shot. Reticles are the patterns shown on the inside of your scope that frame your target. There are dozens of patterns to choose from ranging from simple to complex. The most common reticles are the duplex, mildot, and BDC reticles. These three reticles feature four lines are leading from the four cardinal directions of your scope with a center designed to direct your eye for accuracy. These basic features should give you a clearer idea of what kind of scope is best suited for your needs. Of course, there’s more to consider including adjustment systems, focal planes, and parallax, but it’s the specs and reticles that help you narrow down your scope from the wide number of products available. Didn't find what you were looking for? 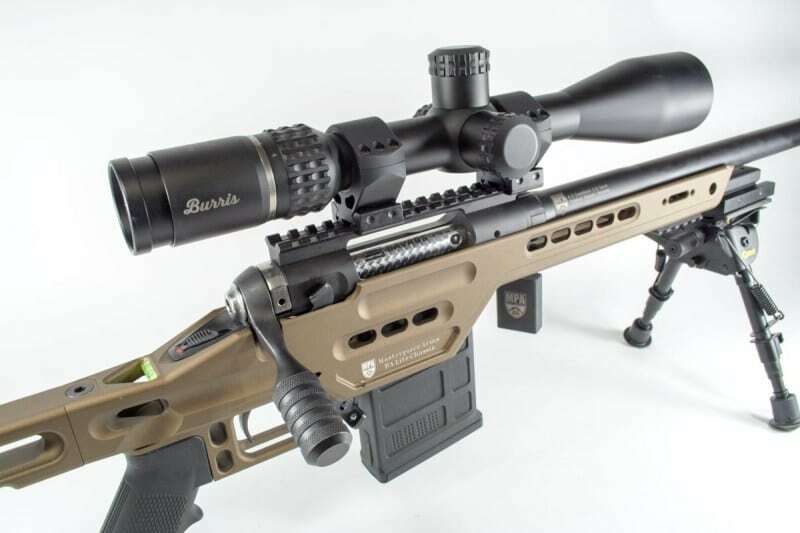 You can check out our reviews of air rifle scopes and scopes for 308 Bolt Action Rifle. If you're a beginner and would like to know more, do read on our tips on choosing the right rifle scope and other buying guide. Now that we’ve covered the basics of scope components, it’s time to go into comparing some features on the scope that you will have to decide on, such as whether or not you want variable magnification, and what reticle you want, as well as several other features that can make a difference in your experience of the scope’s purchase and use. 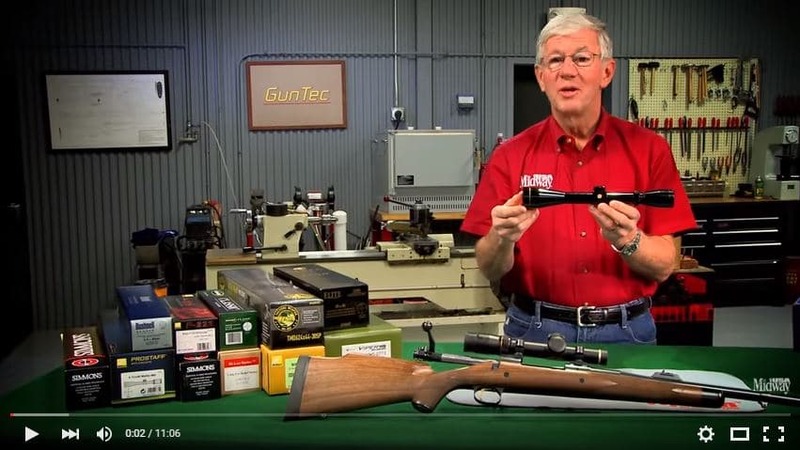 This is part two of a two part series about the YouTube video “Gunsmithing – How to Chooses A Rifle Scope Presented by Larry Potterfield of MidwayUSA.” Part one of the series can be found here.